My wife and I took our three young adult children on this family adventure vacation trip through the Cataract Canyon and had a blast! Western River Expeditions has thought out everything to make the trip a success, which left us more time to spend together as a family. 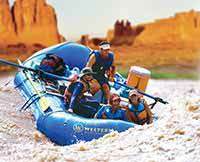 Although a J-Rig gets downstream by using an outboard motor and not by paddling, it is a great introduction to whitewater rafting. The design of a J-Rig allows you to choose the intensity of your whitewater experience: really wet (in front) to mostly dry (in back). 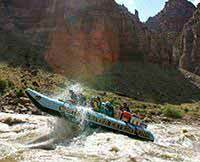 It is an extremely stable platform given the size of the rapids we encountered. The Western guides (Steven, Lane, Andrew, and Becky) were cheerful and informative about the rafting trip itself but also about the history and geology of the area. The meals prepared by the guides were tasty and bountiful. The equipment (sleeping bags, tents, dry bags, J-Rig, etc) was clean and in great shape. 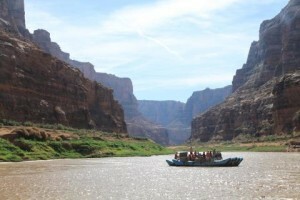 The Colorado River scenery was breathtaking. 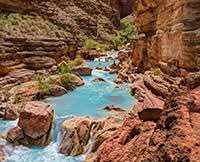 Our family is already planning our next WRE adventure (the Grand Canyon). I hope we meet some of our fellow rafters from this trip when we go.